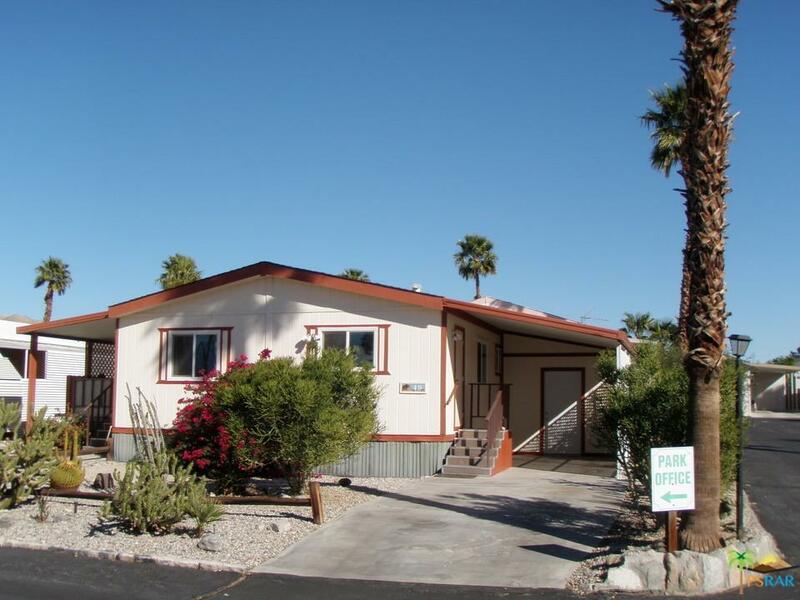 Check out this clean well kept home located in the cozy gated 55+ senior community of Corkill Palms. 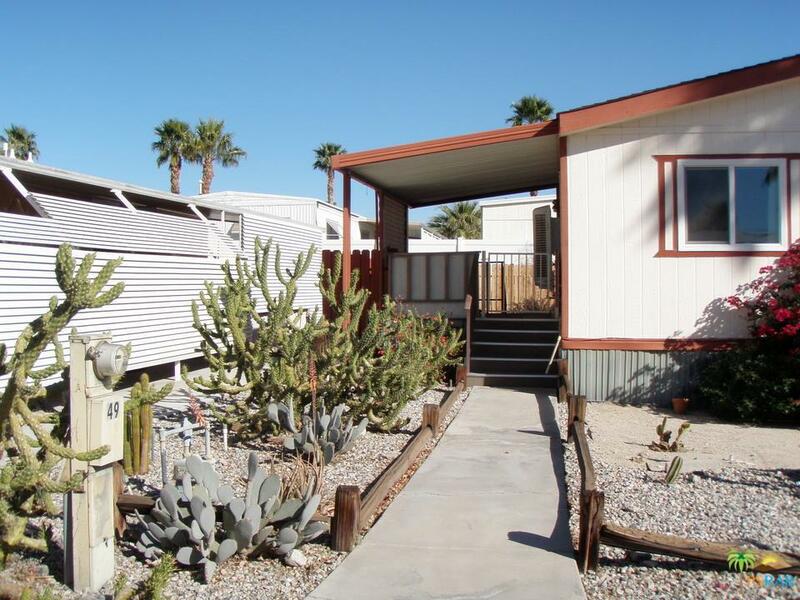 There is 816 square feet of open living space with 2 bedrooms and 1 bath. Bright and roomy kitchen with newer gas range and refrigerator. Inside laundry complete with washer and dryer. Newer double pane windows throughout as well as newer central A/C and swamp cooler. 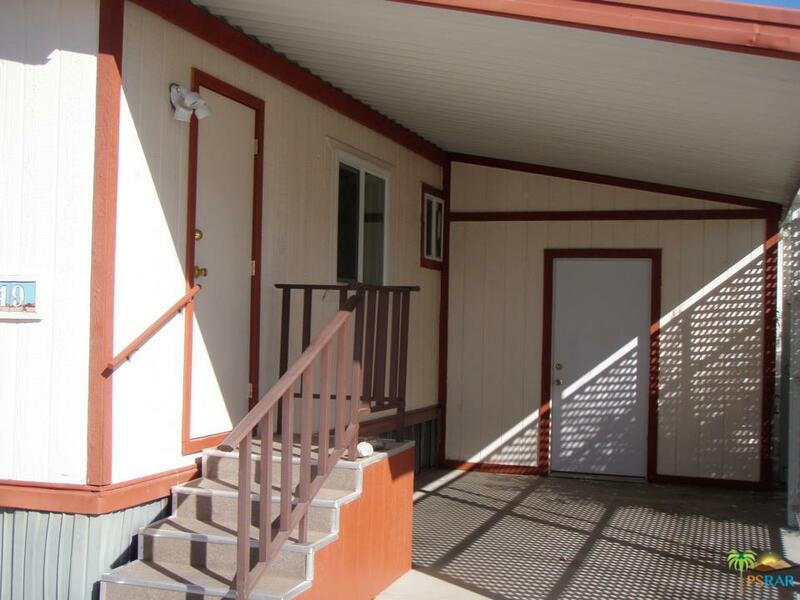 There is a shed attached to the home on the carport side perfect for storage or a workshop. Relax in the Therapeutic Natural Mineral Springs at the Clubhouse or have some fun on the putting green or in the billiard room located just steps away from the home. There is a private covered deck off the living room plus a brick patio on the ground next to that. Set up an appointment to view this great home today! 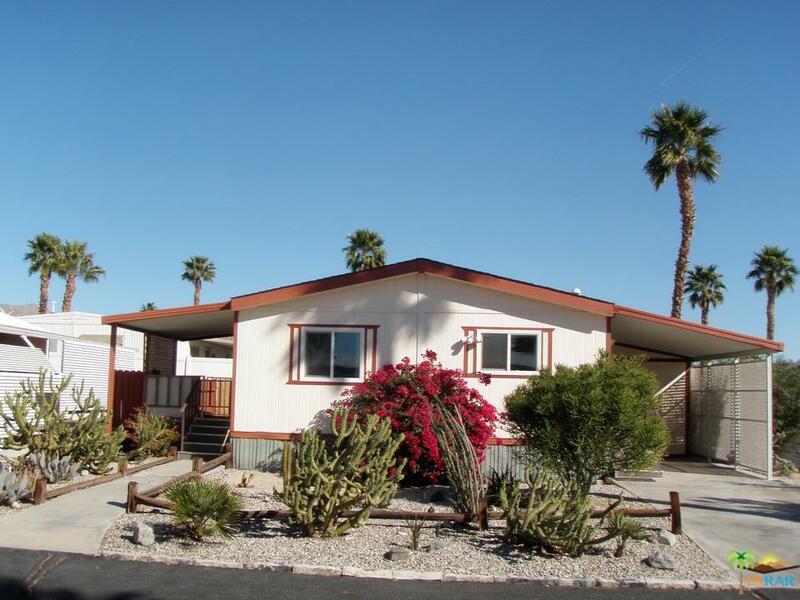 Sold by Kent Dewey BRE#01455865 of Four Winds Realty, Inc. Listing provided courtesy of Kent Dewey DRE#01455865 of Four Winds Realty, Inc.